Nebraska rancher Rowan Ballagh uses assistive technology on his ranch in north-central Nebraska. 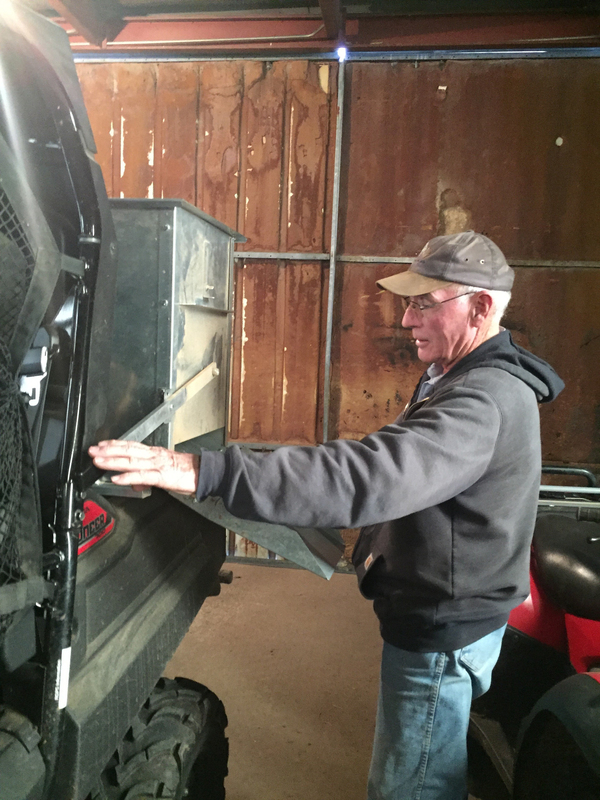 AgrAbility helped with adding a specialized feeder in the back of a side-by-side utility vehicle to reduce lifting and carrying heavy bags of feed. In addition, they helped address his biggest need, his cattle chute. His manual chute required him to be standing, moving back and forth, and lifting both arms above his head, which was a challenge for him due to back pain, arthritis, weakness in his left arm and limited use of his right arm. Nebraska AgrAbility recommended a hydraulic chute in which all levers are at waist level and activated at the push of a button. Agricultural workers with disabilities or chronic illness, their families and professional staff are invited to the AgrAbility National Training Workshop from March 25-28 at Embassy Suites in downtown Lincoln. Registration is required here. Early-bird registration ends March 1, and registration closes March 21. Learn more about Nebraska AgrAbility.